I have been using open source and free software for a for a while now. I thought it was time to dedicate a post to them. One Saturday evening, September 10, 2005 I made my first post. If your your seeing this site for the first time. I want to make it clear that this is not a weblog just for geeks. Its for those who like computers and computer software. I've been working with computers for a little while. In that time I've used a variety of environments. 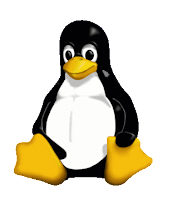 Linux is freely available, and most are not required to register their copies with any central authority, so it is very difficult to know how many people use Linux to date. Could be as many as five million users. Linux 2.6.25 has 9,232,484 lines of code, up from 176,250 lines of code in Linux 1.0.0 back in March 1995. Many users do not understand the difference between the kernel, which is Linux, and the whole system, which many also call “Linux”. The system as a whole is basically the GNU system, with Linux added. When you're talking about this combination it is called really GNU/Linux. Technically, GNU is like Unix. 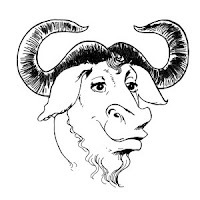 But unlike Unix and other commercial operating systems, GNU is free to distribute and use. The Windows desktop user community is much-much larger than the GNU/Linux one and it takes a lot to have someone switch to another operating system. I use GNU/Linux for the every day person. This is the type of GNU/ Linux that is widely available. Microsoft makes its living selling people plain operating systems and have a lot to lose if Gnu/Linux ever got popular with the masses. For that reason they have done everything in their power to warn the public that Gnu/Linux is something that you probably can’t use. I feel that the meager income that many are stuck with now days should not keep them out of touch with the tech revolution. I know that getting started with a new OS is a big adjustment. Yes it is true that Windows is the OS that is used by the majority populace in the United States. It comes preinstalled on most consumer brand PCs. In 1984, it was impossible to use a modern computer without installing a proprietary operating system how ever in 2008 we have a choice. I started with Win 95 in 1997, Win 2000 in 2001, Slackware 8 in late 2001 but still mosly using my trusted Win 2000. Then 2003 I went too WinXP dual booting with LindowsOS then Linspire 5 & Ubuntu 5.10 the Breezy Badger in 2005. By 2006 I was using Linspire 5.1 full time. software delivery way to get a virtualization program called Win4Lin Pro which runs Windows as a Linux application and stores documents and settings in the Lin ux file system without dual booting. In essence it displays a window on a Linux desktop which contains the Windows desktop environment. It provides an environment for the Windows operating system to run, and as such one must still have a copy of Windows to use with it. Then I got CodeWeavers' CrossOver Linux to run my of my fav Win based apps. Crossover, simply put, runs Microsoft Windows applications within Linux. Unlike virtualization, it is a re-implementation of the Win32 API, allowing applications to run as if natively on your system. The programs will display in their own windows just as if they were native Linux applications. Sad to say this is an IE Explorer world and its the first app I installed. Once installed, IE integrated seamlessly with my Gnome and KDE environments. All I had to do was click on the IE icon exactly as I did in Windows, but with the full freedom of Gnu/Linux. But one should also keep in mind that while CodeWeavers supports, or is trying to support, the most popular Windows applications on Gnu/Linux, it doesn't support every program by any means. Not all Windows programs will run perfectly -- some won't even run at all, although most of them will at least install properly. In the long run, you might prefer to find a native Linux program as a really good substitute for your Windows applications. I have done my best in my small world to let others know there are choices out there and I will say here and now that those other choices dont fit everyones needs in all cases. A Gnu/Linux has lead me just about anywhere in the digital world I have wanted to go. They are packed with features: a full Internet suite; a complete office suite; digital photo and music managers; advanced notebook and wireless capabilities; and a lot more.